On The Soul in the Mist, legendary composer/percussionist Andrea Centazzo leads a dazzling set of introspective, communal improvisation with the help of renowned clarinetist Perry Robinson and pianist Nobu Stowe. The musical explorations on this live recording, taken from two east coast concerts in November of 2006, have a meditative, trance-like quality, spacious and hauntingly patient. 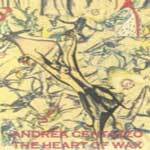 For the most part, Centazzo defines the mood of each selection with definitive percussion introductions. However, the minimalist nature to his compositions allows each of the musicians to contribute to the textural development of each piece. The low, drawn-out rumble of drums coupled with Robinson's gliding lines on "Last Song evoke a kind of eerie calm usually felt before a tumultuous storm. The storm arrives in full force on "The Voices, with Centazzo's brilliant manipulation of sampled voices over a hurried poly-rhythmic dance. Robinson, always the enigmatic performer, displays his distinctive approach on the clarinet. His diverse nature as an improviser is emphasized with stretched out melodic fragments ("Another Situation and "A Foggy Day in Philadelphia ), and extended, fiery solos ("Twenty Years Later and "Pan Dance ). Stowe maintains an air of lyrical brooding throughout the session, using the full range of the piano to shape varying landscapes. The veteran east coast musician's careful unraveling of ideas on the title track creates an organic sense of forward motion. Soul in the Mist is an endearing journey into otherworldly sonic possibilities. Centazzo, Robinson and Stowe render a group sensibility of the highest order through intuitive listening and discerning musical choices. Track Listing: The Soul in the Mist; Another Situation; The Cry; Twenty Years Later; Last Song; Pan Dance; A Foggy Day in Philadelphia; The Voices. 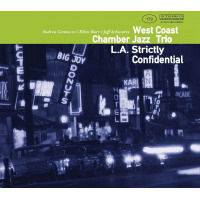 Personnel: Andrea Centazzo: percussion, Mallet Kat keyboards, sampling; Perry Robinson: clarinet; Nobu Stowe: piano.